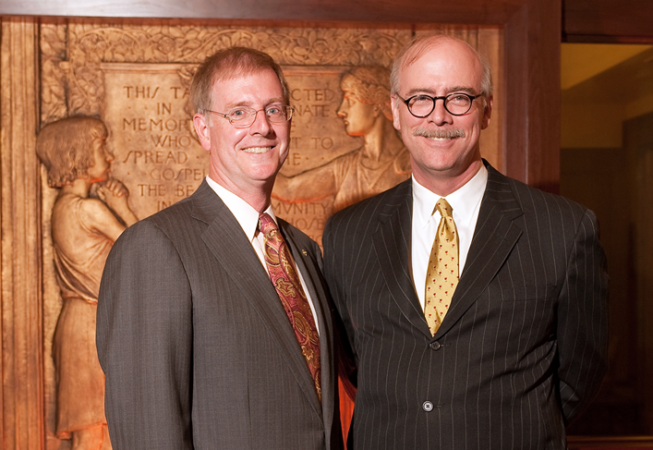 In 2006, two brothers, businessmen Clark and Clay Bastian, embarked on a project to expand their fourth-generation family-owned community bank and restore a monument to Wichita’s architectural and cultural history. Under the leadership of the Bastians, Fidelity Bank purchased the dormant Carnegie Library building from the City of Wichita. The renovation would restore the library to a usable structure while preserving the landmark for generations to come. The Bastians were uniquely suited for this project. Contributing to the social and cultural development of the communities they serve is a hallmark of their way of business. 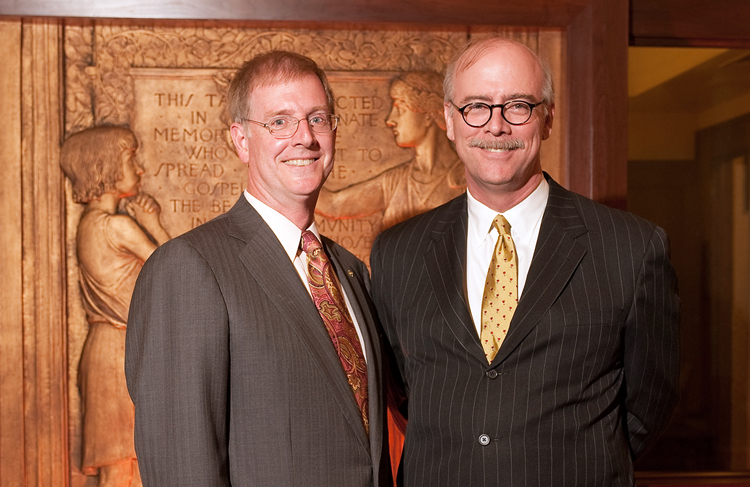 Clark and Clay’s shared passion for history and the arts was handed down from their parents, Bobbie and Marvin, and yielded a stunning vision for the restoration. With previous experience in historic restorations and bountiful support from family, craftsmen and artisans, the vision was realized and the Wichita Carnegie Library building re-opened in 2009 as home to Fidelity’s commercial banking division.